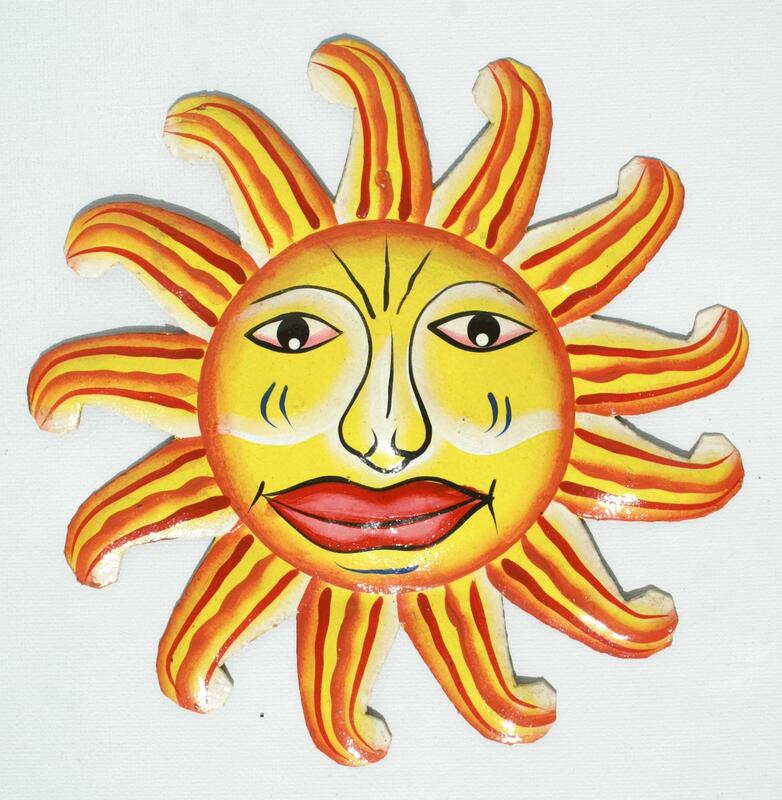 Haitian metal art, colored sun face. 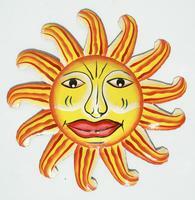 Interior decorating wall art. Size 21.5cm.